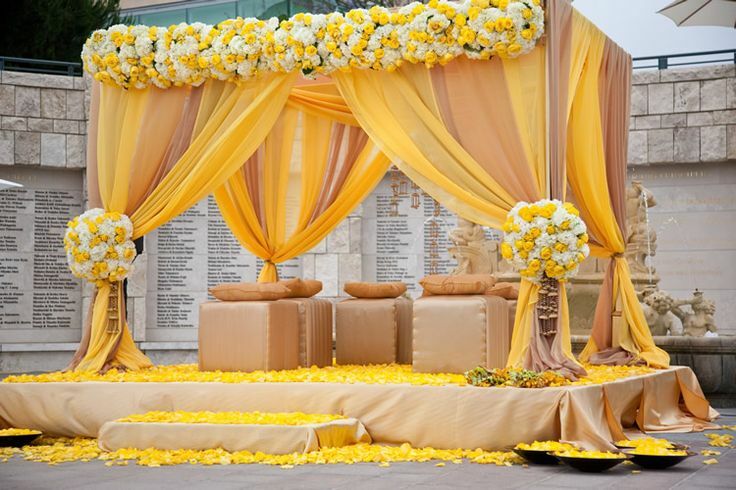 For the very special wedding event, if you have focused your attention on choosing a dress, shoes, makeup and food then how can we forget the stage decorations? It is one important area for this function that should not be taken in a lighter way. It must look colorful and much vibrant from all other arrangements. Does your complete homework that which theme you should follow, what should be the color scheme of your stage, what decorations should be put up and other stuff! 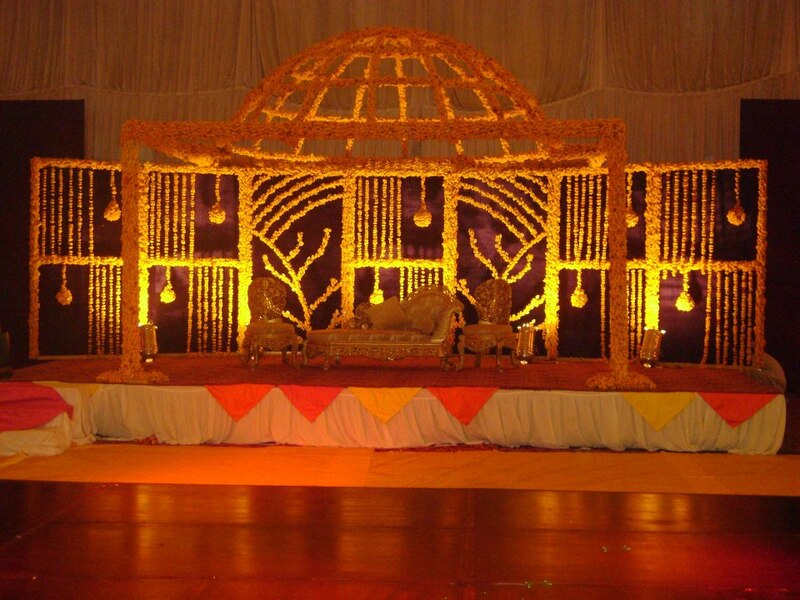 Here get ideas about the Pakistani Mehndi Stage decoration 2019, with exceptional looking pics. Without any reservation, these pictures must help one to build a theme and overall look before preparation. 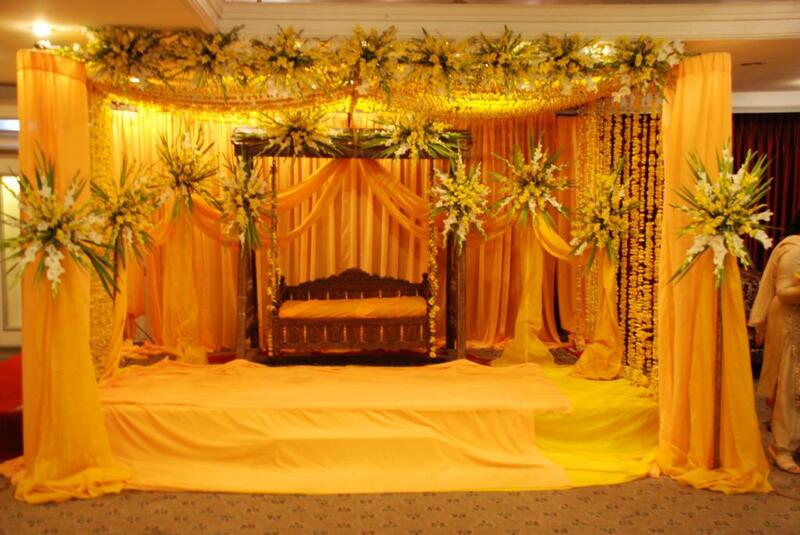 To decorate the back side of the Mehndi stage, you can put up yellow and orange colored clothing and flowers. You have to make up the contrasts. More colors and more flowers you will use while decorating the stage, more beautiful it will look! Bride to be chairs and sofa sets, they should also match with the color of flowers and your set theme. On both the sides of the stage, you can put up the bouquet of flowers or you can place mirrors. 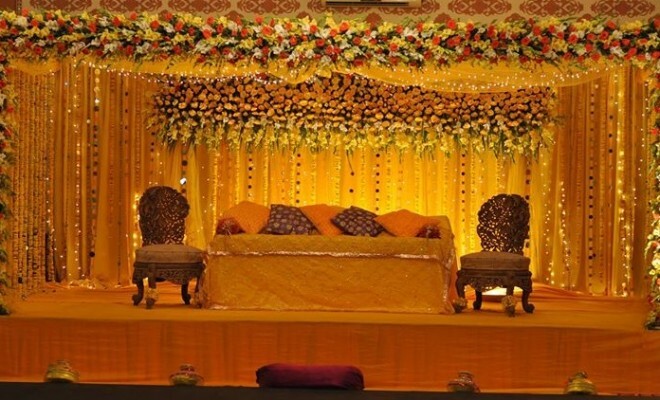 On both the sides of the bride to be a sofa, you should place colorful Thaals, candles, mehndi pottery and other related items of mehndi. 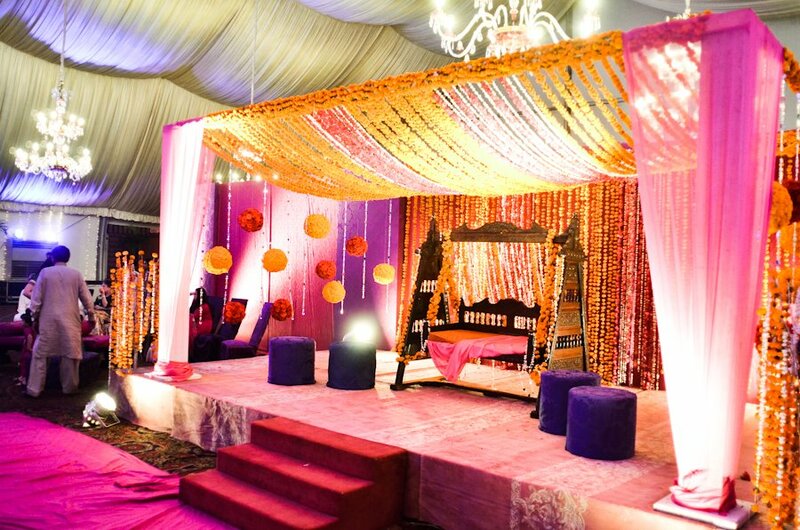 Make sure that the stage of the bride should look lively and colorful, it should look full of life. You will decide on the places and corners where Thaals will be placed. 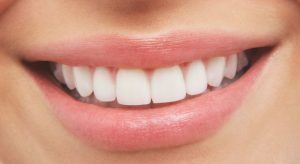 Make them prominent and put them in the areas where they grab the attention of each and every guest. Moving on with the hall decoration, it should too have a theme. Hang colorful dupattas of orange, yellow, green, pink, red in color so that the real feeling of mehndi even can be felt by guests. 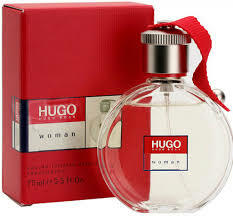 The below pics will must assist you to choose a beautiful decoration. 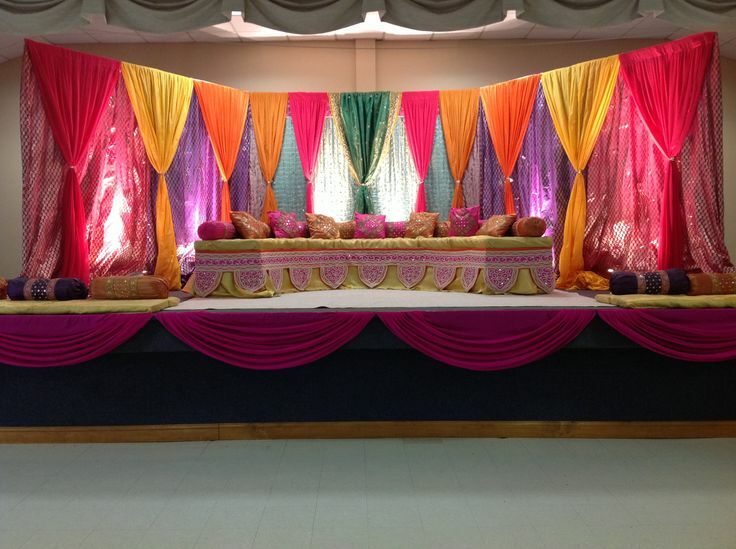 You should separately decorate the section of the dance floor. These days mostly wooden floors are in trend. Let this floor be like this, you can simply put additional lights on the side of it. The section of the dholki area should have its own set theme. Decorate this dholki item, place more musical instruments in this area so that anyone who wants to play and use these instruments; he or she can do that! 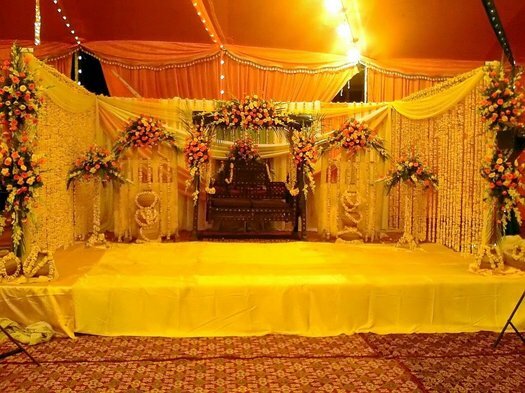 This is how your hall and Mehndi stage decoration 2019 should be decorated in Pakistani style, are you going to follow these trends in your recent functions.